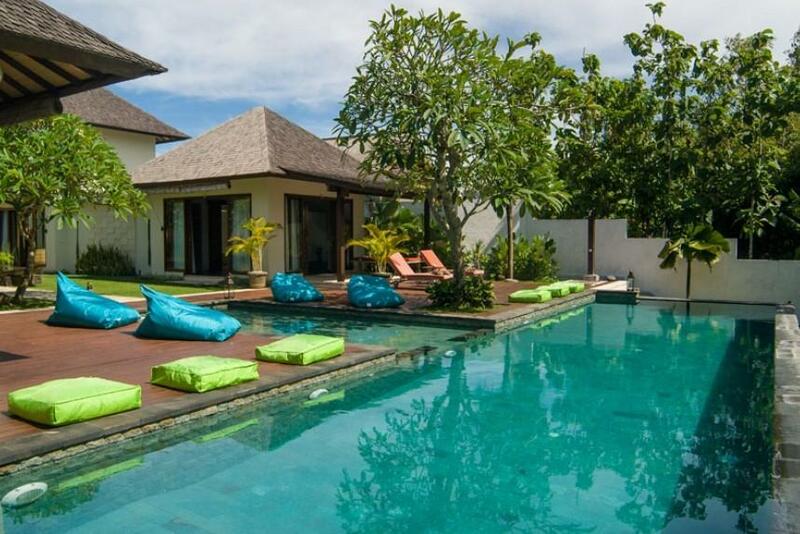 This splendid 4-bedroom villa is located at Nelayan Beach in Canggu. Only 300 meters away from the beach, Villa 3485 combines the calm, relaxing serenity of lush rice field, pristine river, and quiet beach with the finest facilities and services, providing you the perfect Bali getaway. 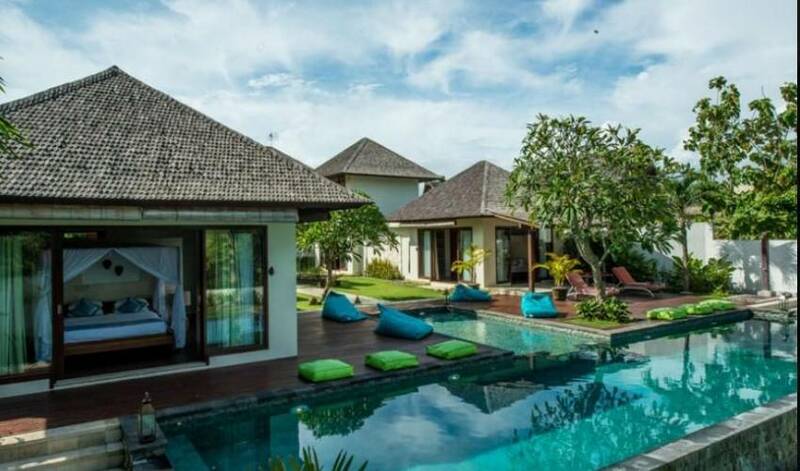 Villa 3485 is conveniently located in Canggu area, about 45 minutes from the airport and only 15 minutes from the vibrant Seminyak, the home of many international restaurants, shops, boutiques, spas and about 15 minutes away from one of the best golf course in Asia, Nirwana Golf Course. 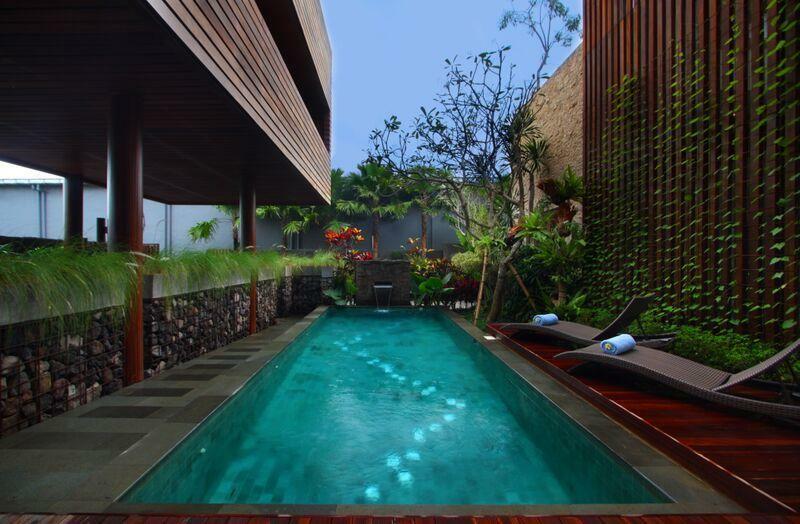 Luxury villas are plentiful in Bali, but few embraces absolute comfort and tranquility to the level of Villa 3485. Occupying a gorgeous area of 1,300 m2, Villa 3485 is perfectly designed to capture the serenity of its surrounding. 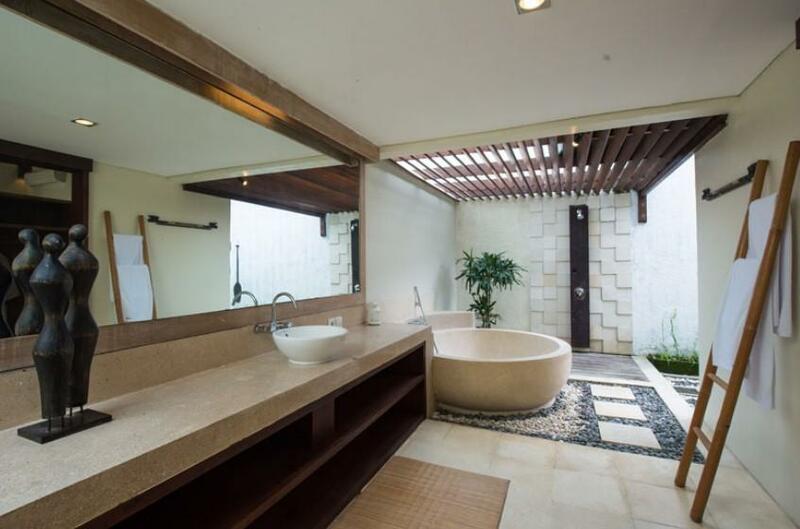 Featuring modern Balinese architecture, it is tastefully decorated in a traditional minimalist style and equipped with state-of-the-art handmade furniture. 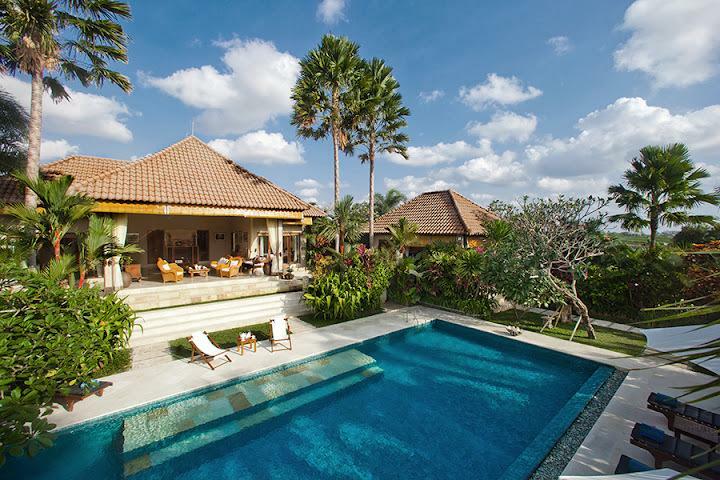 The Javanese entrance to the villa leads to an open-air common area, overlooking a beautiful T-shaped swimming pool and tropical Bali garden decorated with an antique fisherman or "nelayan" Boat, iconic to Villa 3485. The main two-storey building features the living and dining area with one mezzanine level towering over the compound ground. A sleek wooden stair adjacent to the dining area leads to the open air mezzanine with alluring view to the surrounding greenery. A small ‘bridge’ is connecting this area to a comfortable library and business center with Wi-Fi Internet Access throughout. 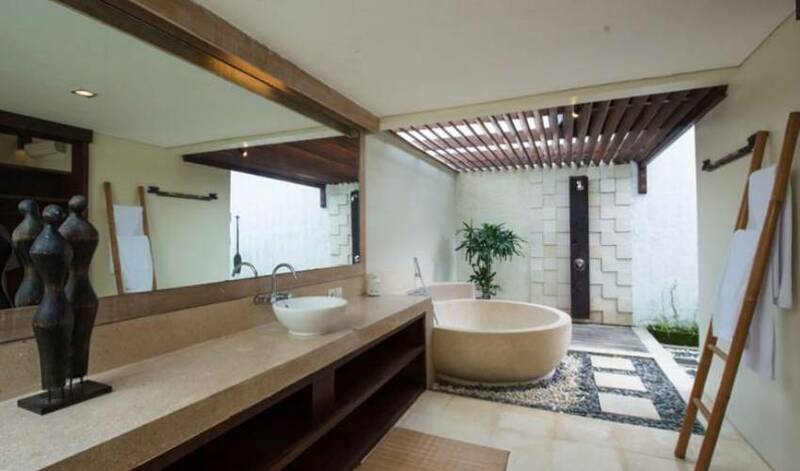 The luxury villa comprises of four bedrooms, each positioned in separate buildings complete with its own ensuite, open-air bathroom. 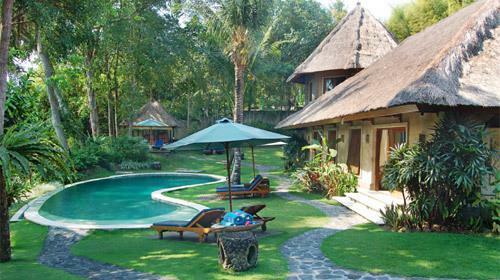 With each room positioned opposite each other with a view towards the tropical garden in the middle and pool. The garden compound is also suitable for BBQ or outdoor dining. Keeping a balance between the guest’s privacy and immediate quality service, the staff’s quarter is located just outside the main building quarters. 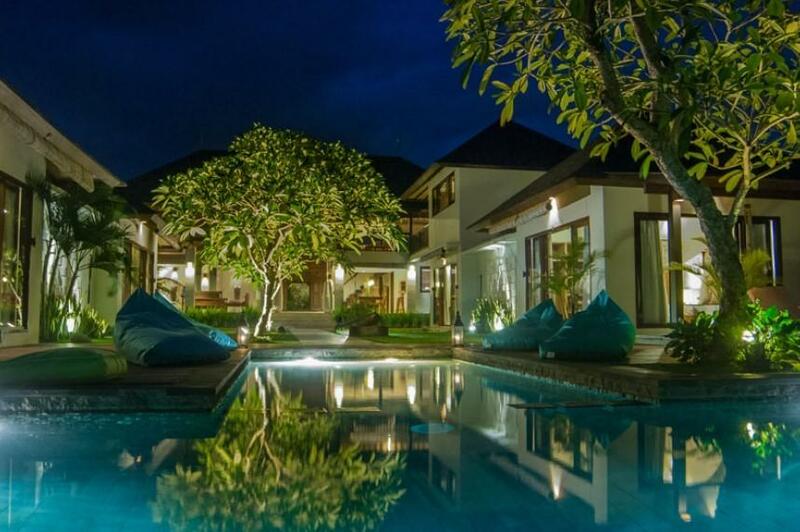 This self-contained villa offers complete five-star facilities: 24 hours full service, luxurious bedding, indoor/outdoor living areas, fully equipped kitchen, sound system, satellite television, LCD TVs, DVD players, and hi-speed WiFi. 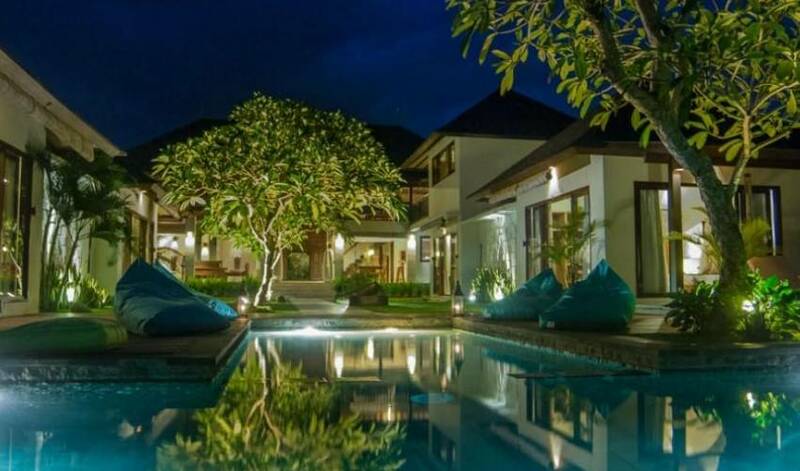 Our villa manager is supervising 3 butlers and cook, 1 night security, gardener, engineering, and pool maintenance. 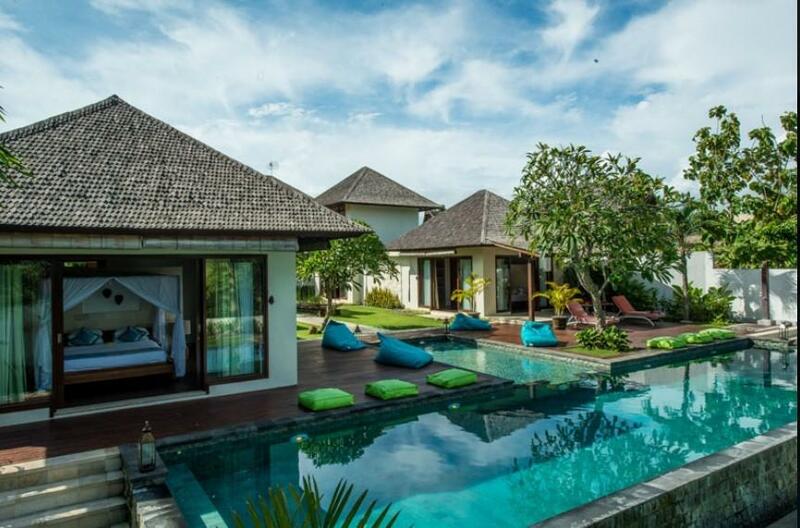 With so much luxury to offer, Villa 3485 is sure to be the type of place that Bali lover would like to visit over and over again.